The actual date this building was built is unknown. The design is of a straight-sided gable with a small belfry at the apex within an ochre façade with long and short work round the semi-circular topped door and flanking windows, the large rose windows and along the corners and gable edge. The building was known by the coloured community as the Great London Church and was consecrated by Dr John Phillip of the London Mission Society, in whose name the property was transferred, in 1847. 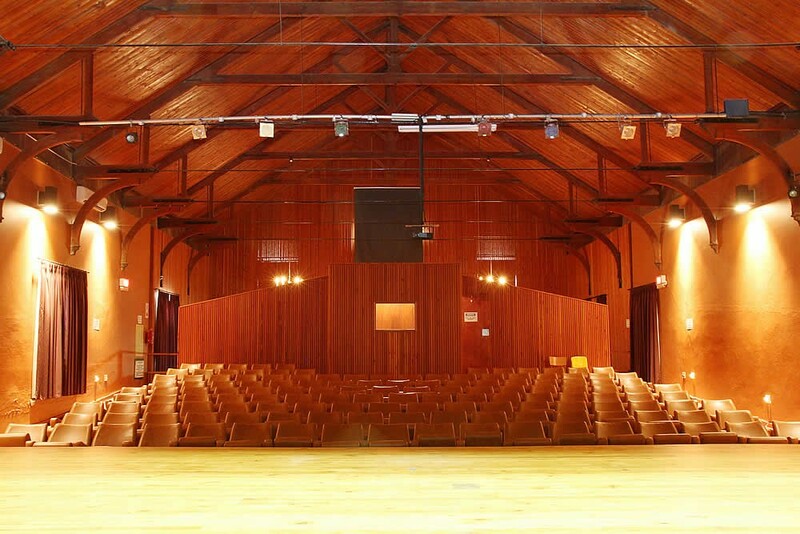 In 1920 the Society sold it to the United Congregational Church. The original pulpit can still be seen in the foyer.Dr Anton Rupert acquired it in 1969 and after restoring it donated it to the Graff-Reinet Town Council in eternal Trust. 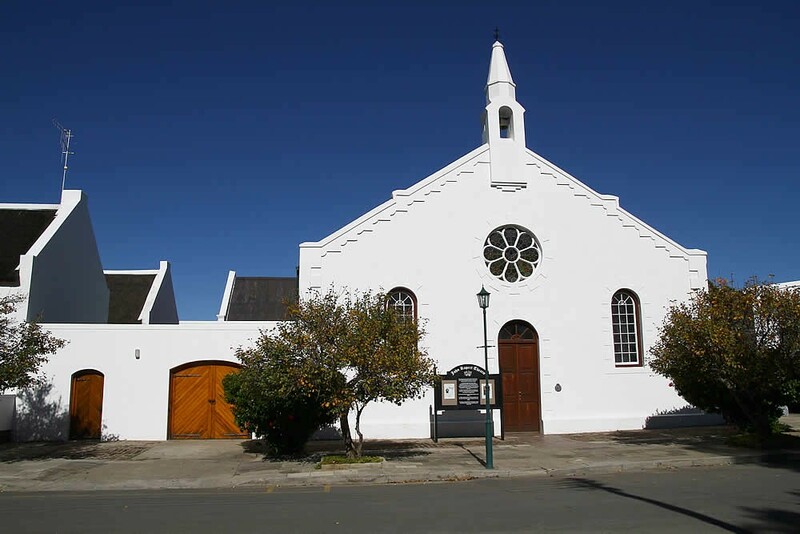 The only theatre in the Camdeboo, it was founded when Dr Anton Rupert purchased and restored the old Coloured Missions Church – referred to as the “Groot London” - and donated it to Graaff-Reinet for benefit of the community. The building is named after John Rupert, the father of Dr Anton Rupert. After serving the town as an art gallery the building was converted in a Little Theatre in 1980 by the Graaff Reiner Round Table. 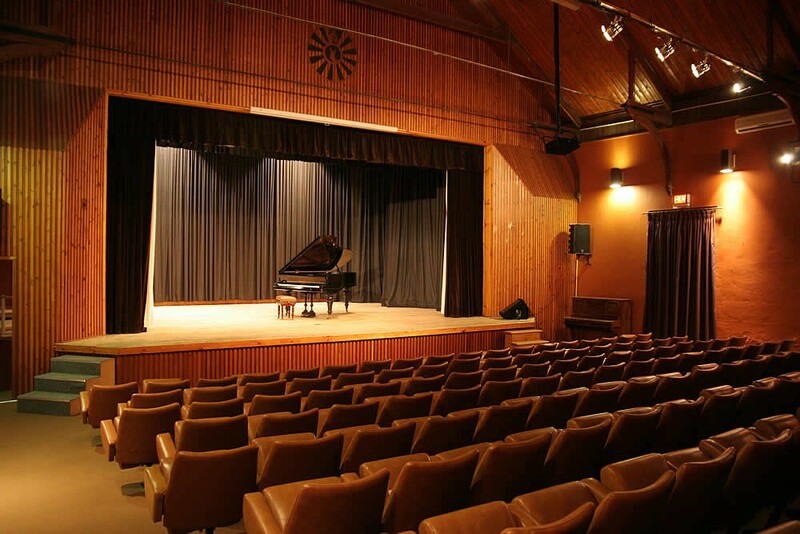 The John Rupert Theatre plays an active part in the cultural life of Graaff-Reinet. It is run by a committee of volunteers who screen two films every month – an evening show on the first Wednesday of the month and a matinee on the third Saturday – as well as hosting regular plays, musical performances, comedy and dance. The theatre is also used by touring companies for their productions. The John Rupert Theatre is also available for hire as a venue for conferences or large meetings. (For venue hire please Laura Knott-Craig at 082 779 1044). The John Rupert Theatre in Graaff-Reinet is the first building on the right in Parsonage Street after the Shell garage. Parsonage Street runs between Kerk Street, opposite the Drostdy Hotel, and the Reinet House Museum.